Find your dream job, build your network, and hire the best talents! Never Miss a Single Job! Jobs.af mobile application is now available on App Store. Our mobile application helps you with easier access to Jobs.af and your account. It's available for both IOS and Android devices and you can download it free, just click the buttons below and start a whole new career life. 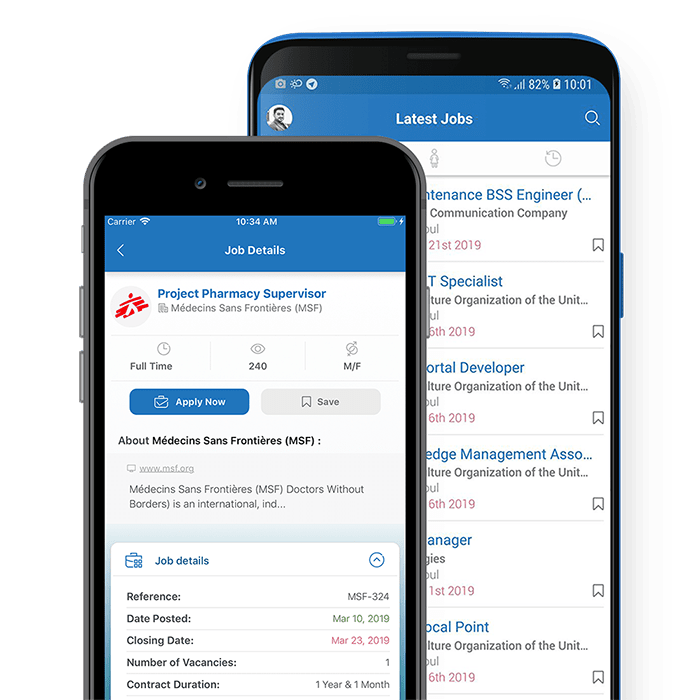 Our mobile app allows you to search for talents, companies, trainings and job opportunities using filters such as keywords, company, location, date, etc.